The Racquet Complex is one of Wynmoor’s many highlights. 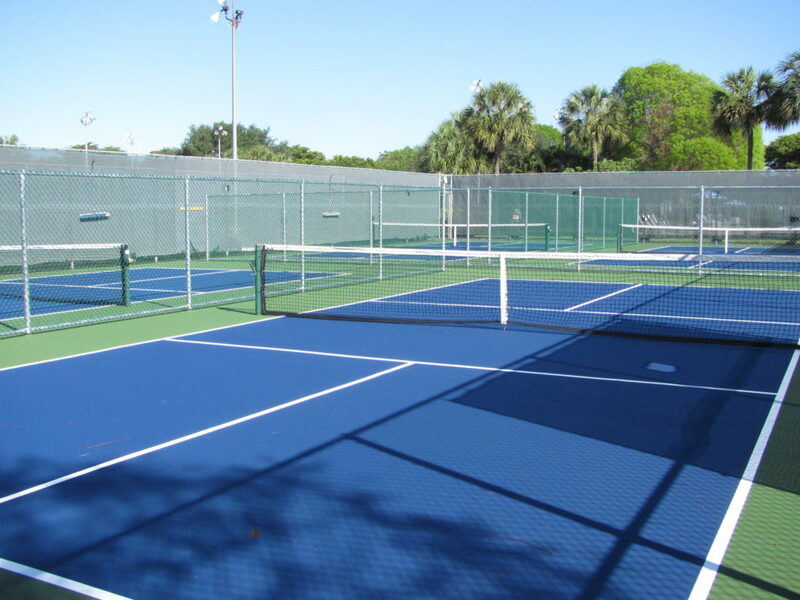 Located in Nassau Village the Racquet Complex consist of Tennis Courts, Pickleball Courts and a Picnic area. Many residents meet at the Complex for some competitive play of friendly matches then enjoy a picnic. The picnic area at the Tennis Complex is quickly becoming a “hot spot”. South Florida’s wonderful climate makes picnicking an all year activity! The Picnic Area affords Wynmoor’s residents a convenient place for a pleasant outdoor lunch with family and friends. An early morning match with friends can be the start of a wonderful day at Wynmoor. Tennis and Pickleball is not just a way to stay fit and young, but also a social activity where lasting friendships are forged.